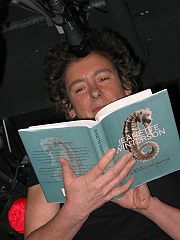 For all aficionados of adoption and the adopted life, this is definitely a must watch – An Evening with Jeanette Winterson | SlowTV | The Monthly. One of those events it’s worth putting your feet up for, having a nice drink on hand and just pretending you’ve been transported to the Sydney Writers’ Festival for a time with Jeanette_Winterson It probably works for non-adoptees and lovers of good writing too, but that’s impossible for me to know. I only qualify on the second! Just as it was once impossible for me to know how to do the pregnancy and birth thing – no role model, as the lone adoptee in a family where there hadn’t been a birth in years and wasn’t until ten years after I came along. I was reminded of this last night watching an interview with the great social anthropologist and studier of birth throughout the world – Sheila Kitzinger/ I had forgotten what a great influence she was and how she amongst some others, helped me to get through a time of not knowing, not being able and through to a perfect pregnancy, a never to be forgotten birth and the empowerment of trouble-free breastfeeding for 13 months. I was able to go on to support others, thanks to Sheila and her ideas on mothering. She was 81 at the time of the interview, mother of five and as lively, in touch and vivacious as ever, perhaps a little more mellow these days, but 30 years more experienced and determined never to retire. I certainly took on board her idea that the baby teaches the mother how to be a mother; they are drawn in to a circle of connection, close observation and need to ‘nest’ for a time while learning about each other, taking their cues from each other and becoming a dyad. Tears came to my eyes as I remember the beauty of that experience, the relief that I could do it and do it successfully. I was also overwhelmed with sadness and regret, as I remembered how I had so cruelly parted from my own mother, the bonding, learning process had never been allowed to happen and then in its truncated, stunted form had been abruptly severed by adoption. That is what I am asking our Government to apologise for in July, the inhumane and cruel treatment of forced adoption. Tragically it still happens today, now, not just in adoption long ago in ‘the bad old days’ adopters and adoption promoters like to refer to, when they try to comfort themselves, justify what they do and pretend there is no loss, no inhumanity and no cruelty or that it is necessary. Those who live by these lies and deceptions will never have to feel what it is like, the hole in the heart and the repercussions through life such as those in pregnancy and childbirth, not just for women, but for men who cannot connect with their children and their partners at these precious times in family life which are damaged, ruined and heartlessly stolen by adoption. Our Government gets it, our Senators get it, why not adopters of children who could be saved from these experiences by better support of mothers and families? Perhaps they have not yet discovered that the hard cold centre of the objections of many adult adoptees to adoption, preventable adoption, is based on this act of cruelty in which they participate, re-frame, call beautiful and for which they earn only disdain, disrespect and lack of enthusiasm for their actions, views and participation from those adoptees and others, who have dared face that taboo, the reality of what is done to us by adopters and continues to be done in more and more inhumane forms today. For instance, being present at the birth, cutting the cord, being first to hold the baby/adoptee and being pandered to by being called the parents (or sometimes the gestational carrier by the more honest!) by a woman much deceived, mislead and hoodwinked, who one day will wake to the cold light of a dawn in which she’ll understand and see the truth of what was done and why. No wonder the rate of secondary infertility is still high, the fear too great, the suicide rate too many and the entitlement of adopters still sticking in the craw of all who know what is behind adoption, see it for what it is and have nothing but scorn for the protestations, the smoke and mirrors, the self-deceptions and the magic words which are supposed to make it alright but which are hollow and meaningless – forever family, the greatest gift, every family deserves a child with DS – you’ve seen and read it all and if you’re like me find it disgusting, distasteful and distressingly pathological. Wake up people, how will you teach today’s adoptees about authenticity, honesty and have confidence that they will believe you and continue to believe you when it all starts this way?